I thought it would be good to have an evening drive in the countryside. 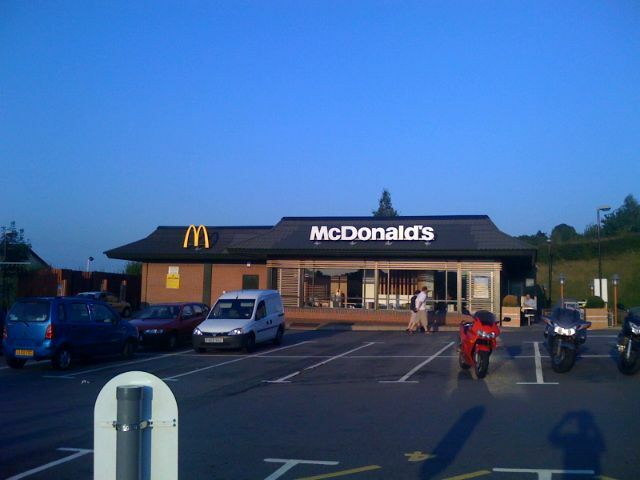 After a few hours out in the rural scene, I stopped off at Bourne End Mills to have dinner at McDonald’s! Here is a shot of the place! A good evening out…sometimes it is great to get out of crowded places! Love the Big Breakfast and Monopoly? Egg, Muffin and Hash Brown rolled into one meal! Delicious! true! Or is it a money making scheme? Just shout it out okay? !